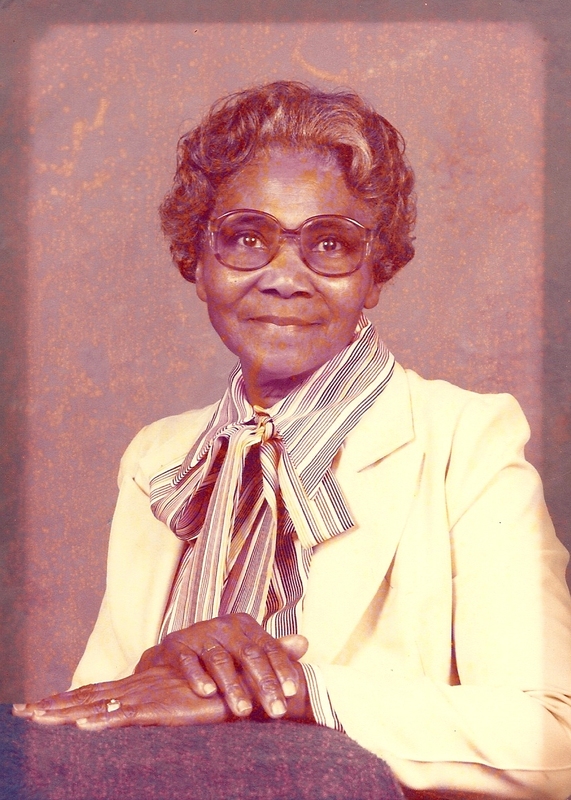 Funeral Services for Mrs. Hattie Bell Stewart of Hawkins Street Americus, Georgia will be held on Saturday, December 14, 2013 at 2:00 P.M. at the Kingdom Hall of Jehovah’s Witnesses. Burial will follow at the Eastview Cemetery. Ms. Hattie Bell Harvey Stewart, affectionately known as “Sister Stewart”, was born January 9, 1929 to the late Mr. Albert “Bud” Harvey and Mrs. Pinky Frederick Harvey. She received her formal education while attending St. Paul School in Smithville, Georgia. During her earlier years, she worked countless hours preparing hot meals for residences and staff at Magnolia Manor Nursing Facility in Americus, Georgia. She remained in Americus and began building her “larger than life “family of 14 beautiful children. Ms. Hattie was a compassionate, loving and committed mother, dedicated sister and unforgettable grand and great grandmother to countless generations of her family and extended family. She devoted her life to spiritual counseling to all that knew and loved her within her family and among her congregation. 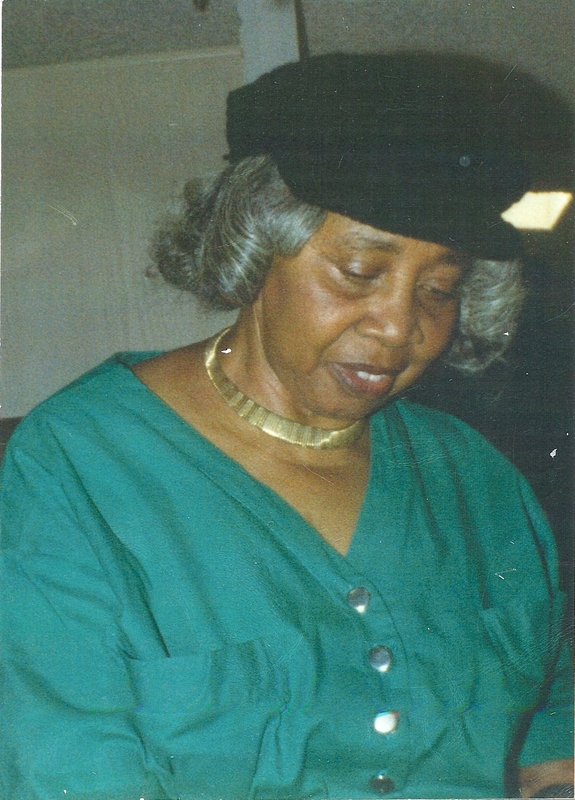 She was a devoted and active member of the Kingdom Hall of Jehovah’s Witnesses of Americus, Georgia. You could find her at your door step wearing a warm smile and “signature hat” any given Saturday morning or weekday. She genuinely enjoyed years of early morning worship and offered an immeasurable amount of her life to spreading the good news while in “field services” around Americus and surrounding counties. She is preceded in death by three siblings, Mr. Benjamin Tullis, Mr. Albert Harvey Jr. & Ms. Ozzie Perry. Ms. Hattie is the devoted mother of 14 children which she loved dearly. One son, Mr. Tommy Lee “Jabo” Stewart preceded her in death. She leaves to cherish her memories 8 boys; Mr. Paul (Linda) Stewart, Mr. Fred (Bernadine) Stewart, Mr. William (Sonya) Stewart Mr. Michael (Virginia) Stewart all of Atlanta, Ga., Mr. Louis (Zandra) Stewart, Mr. Curtis Stewart, Mr. Eddie Stewart and Mr. Larry Stewart all of Americus, GA; five lovely daughters: Ms. Gloria Stewart Bell, Ms. Barbara Stewart Jones, Mrs. Louise (Kenny) Wilkerson, Ms. Cheryl (Clyde) Stewart and Ms. Jacqueline Stewart all of Americus, GA; 36 grandchildren, 57 Great grandchildren and 2 great-great grandchildren and a host of cousins, nieces, nephews, and devoted friends. Devoted friends and lifelong friends and caregivers include; Ms. Minnie Battle, Ms. Gail Watkins, Ms. Tameka Foster and Ms. Vivian Jordan and Ms. Francis “Madea” Perry all of Americus, Georgia. Caregivers include; Ms. Brenda Mann and Ms. Peggy all of Americus, Georgia. Funeral Services for Mrs. Mattie Bell Sanders of Americus will be held on Saturday, December 7, 2013 at 3:30 P.M. at the United Holiness Church with Bishop Arthur Fulton officiating. Burial will follow in the Staley Memorial Gardens. Mrs. Mattie Bell Sanders was born June 18, 1918 in Stewart County, Georgia to the late Paul Crumpt and the late Annie Bell Myers. She was educated in the Stewart County School System. Always caring for others, she worked as a caregiver outside the home for many years as she cared for her own family. Mother Sanders went to live with the Lord on Sunday, December 1, 2013 surrounded and comforted by her loving and devoted children. Mrs. Sanders was preceded in death by her husband, R.B. Sanders, Sr., her mother, Mrs. Annie Bell Williams, and two children: James McCoy & Betty Denson along with several grandchildren. Left to cherish her memories are her eight children: Mrs. Alma Ruth (Sam) Solomon, Bobby (Lilly Ruth) McCoy, Mrs. Mary Bertha (James) Williams, Mrs. Martha (Frank) Townsley, Mrs. Mary (Albert) Mack, Mrs. Mattie Ruth (Karl) Colquitt, Robert Sanders Jr., and Mrs. Aretha (Donald) Bates. Mother Sanders leaves her loving grandchildren and three generations of great grands to carry on her spirit of care giving. In addition, she also leaves to celebrate her life, some very special godsons and friends that were close to her heart, you know who you are.